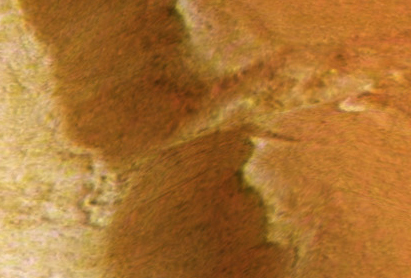 In many current images of the Kasei region the use of color seems to conceal major details on the planet's surface rather than exemplify the truly alien landscape. The use of color applied by the ESA does not seem realistic, and although aesthetically pleasing, it creates a uniform look to the landscape that really doesn't exist. Several Photoshop adjustments and filters seem to show the real depth of scene in a variety of the ESA's color images of Kasei Valley. 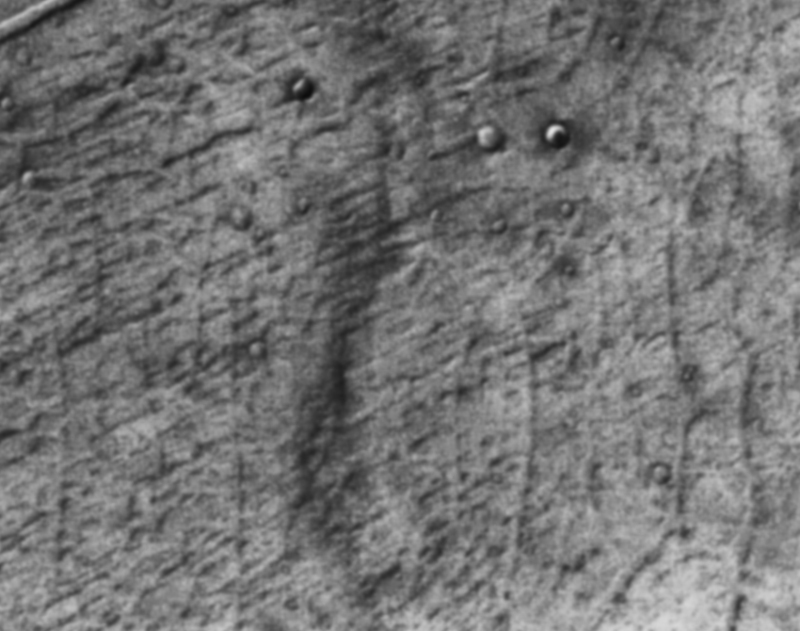 It could be argued this area ranks right up there with Olympus Mons and Mars nasty gash as one of the coolest places imaged on Mars. As you can see: I have identified this region as River City because of the parallel canals that run through the main landform, feeding into what appears to have once been a mighty waterway. 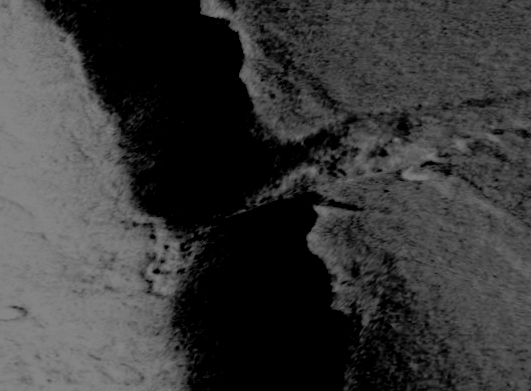 Here is the image black and white, inverted, and equalized to show off the canals detail. Here is a very honest straight down shot of the area. 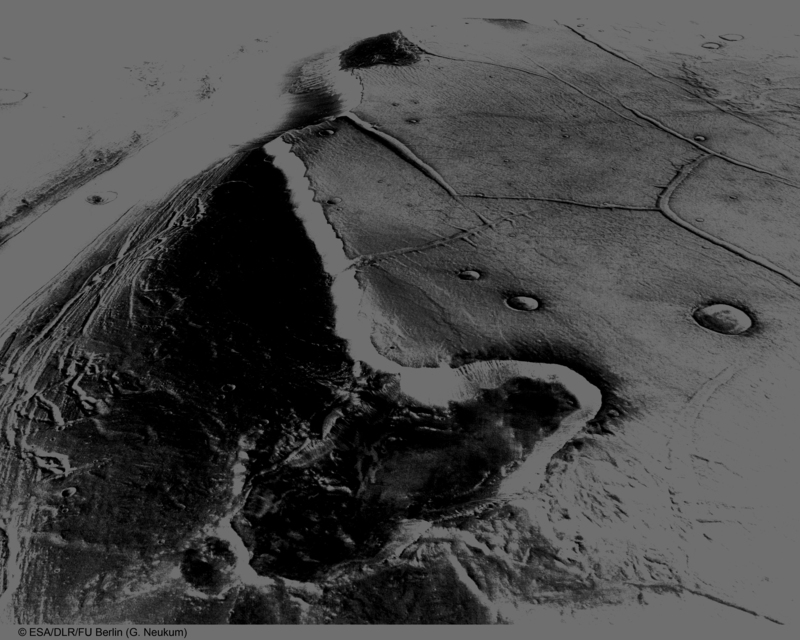 Notice the increasing depth of the landscape's geometry. Here is an inverted equalized closeup. 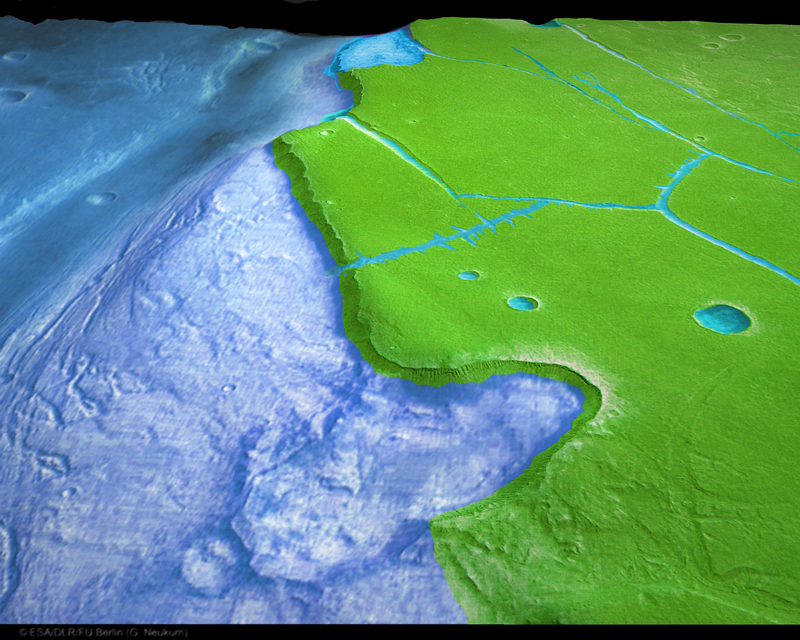 Compare this to the first color image I posted of the Kasei region on this page. 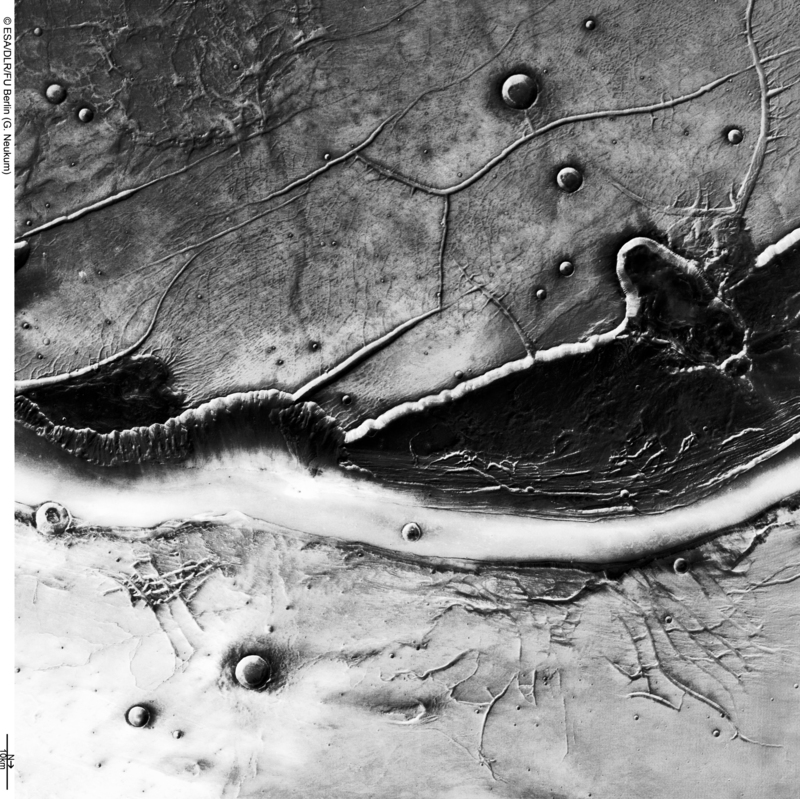 This mildly photoshopped image shows an incredible depth of geometry that the ESA image doesn't seem to exhibit. The geometry is compelling. 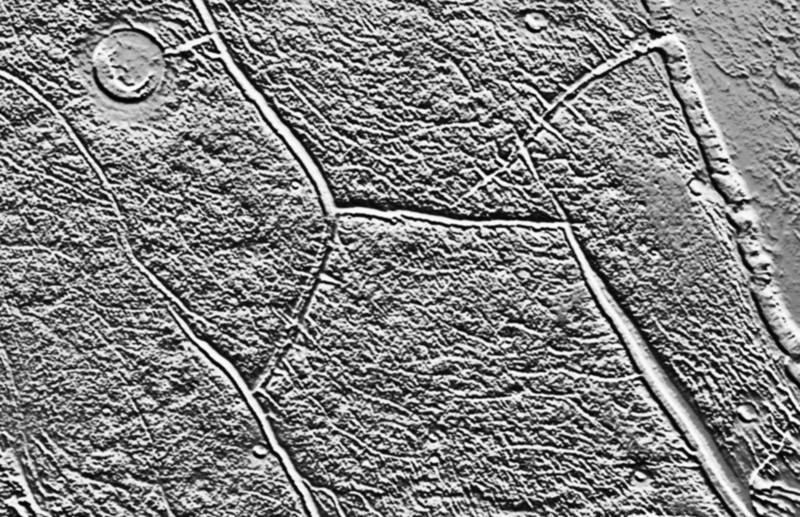 What natural geological mechanism was responsible for the right angles and straight lines in this beautifully-alien landscape? The square geometry is amazing. Could this all just be a result of massive flooding? Is there more to the story? Mans curiousity about this strange region still remains high. 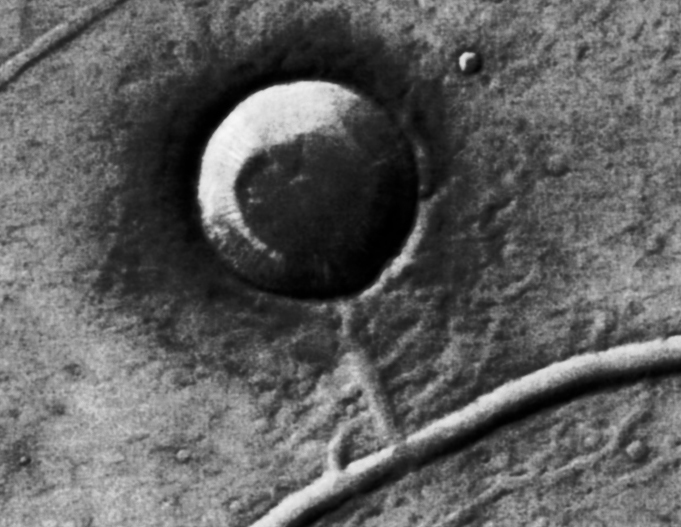 Could Mars once have been drastically different than we know it today? 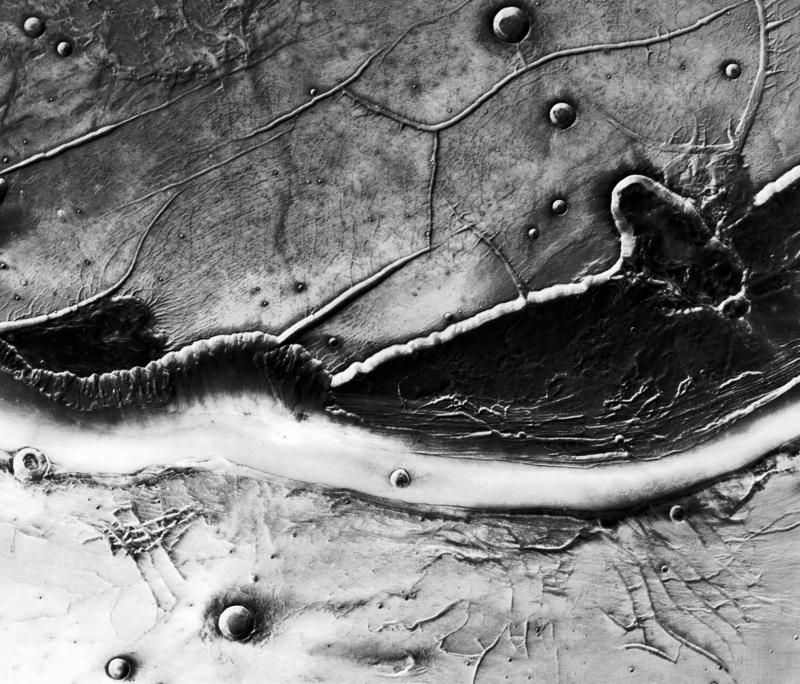 The ESA image below has been photoshopped (quite poorly I might add) to include color. 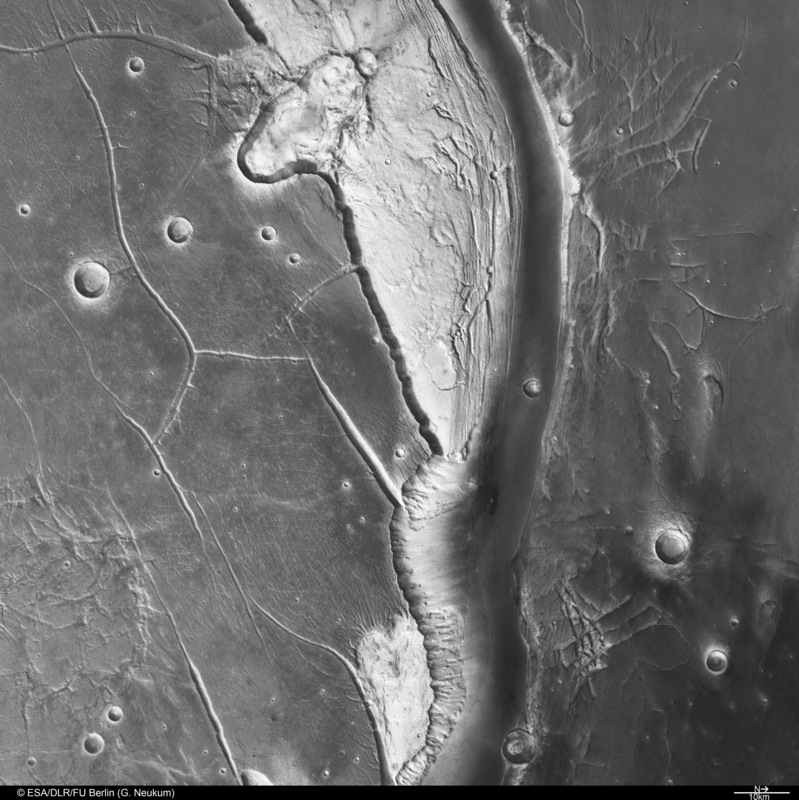 Could there once have been vast waterways on Mars? 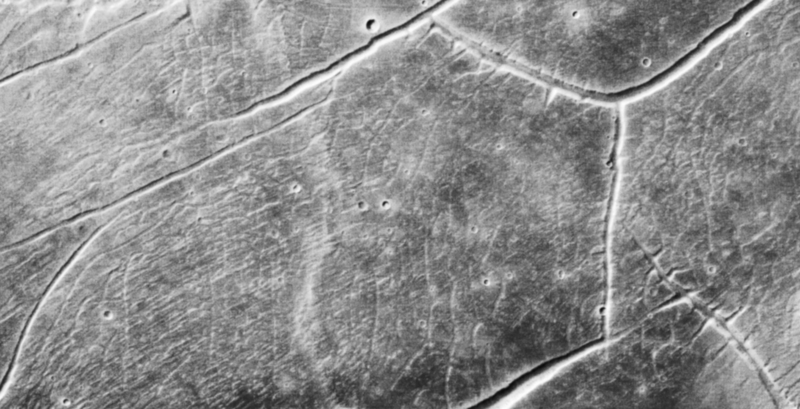 Martian Canals? 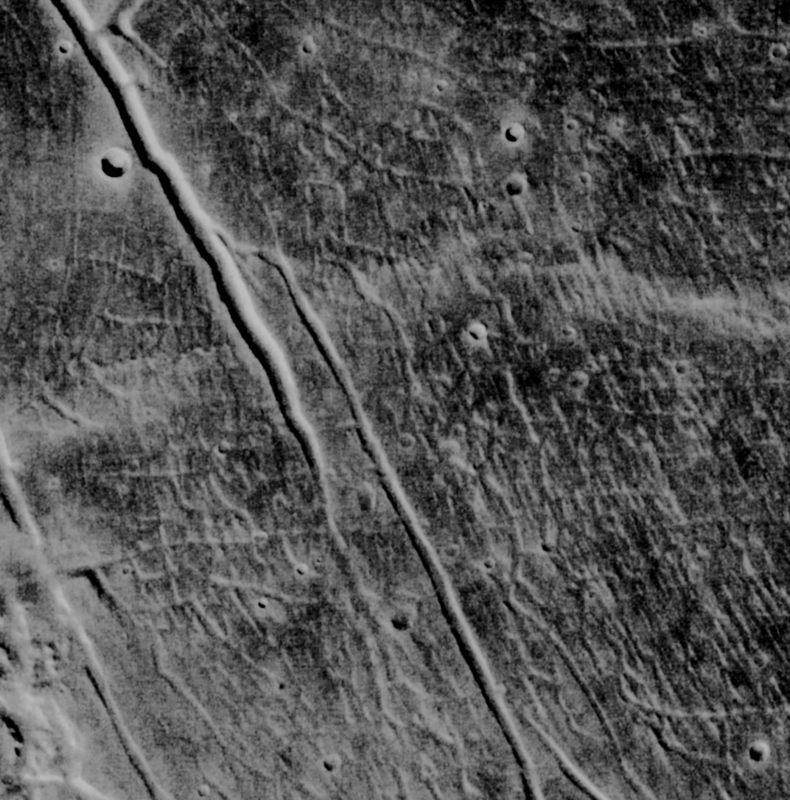 Space.com in an Aug 2001 article says there is a "system of apparent flood channels 10 times larger than Kasei Valles, the largest previously known outflow channel system on Mars." So yes, massive amounts of water have existed in the the Kasei region; but not even close to as much as has existed in other regions of Mars. Whether this water was fleeting or formed actual lakes, rivers, and oceans is left to be understood. Here is a closeup of where the "waterways" meet the river. 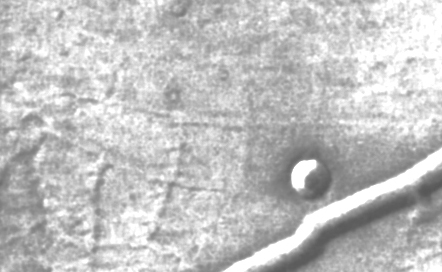 Could these "canals," feeding from a huge river, have helped to connect a vast cityscape sometime in the extremely distant Martian past? The December 2008 PBS TV special "Is There Life on Mars" argues that life might have been possible 3.5 billion years ago and/or 5 million years ago based on theoretical data. 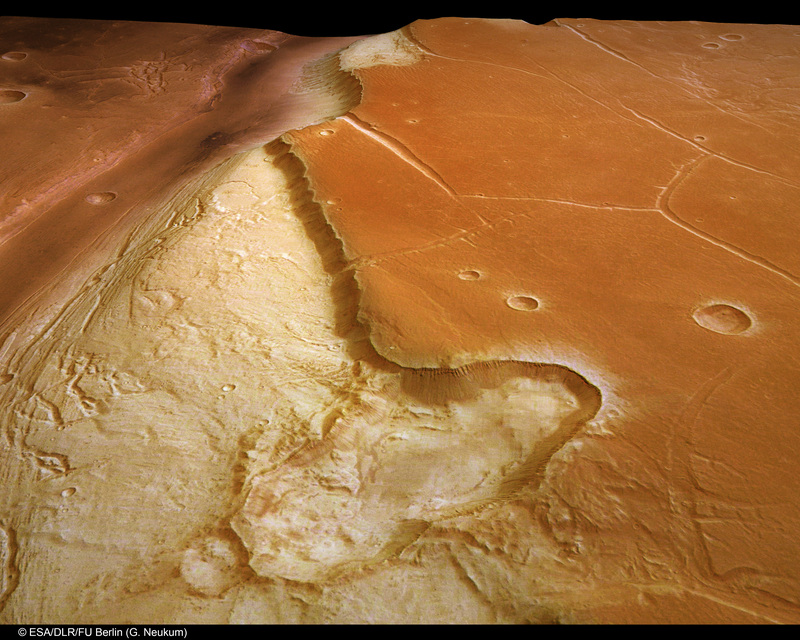 Mars Express and The Phoenix Rover have shown we have much more to learn about what Mars looked like in the far past. There are many clues that seem to indicate Mars could have been an extremely Earth-like planet some millenia ago. Here is a closeup of another interesting region in the Kesai Valley. The depth of geometry in many areas is amazing. They almost look like satellite images of an Earthly City at night. Could cities once have existed on Mars? 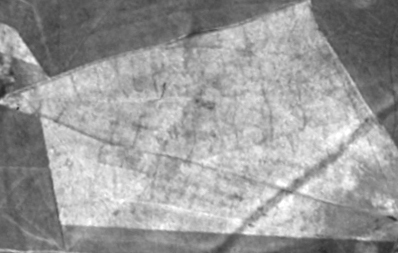 Could this geometry we see be an ancient civilizaton buried under a millenia of debris and sand? Or, are these hard angles and repeating patterns, simply the result of a natural geologic process? The image below comes from a Press Release out of the University of Chicago. 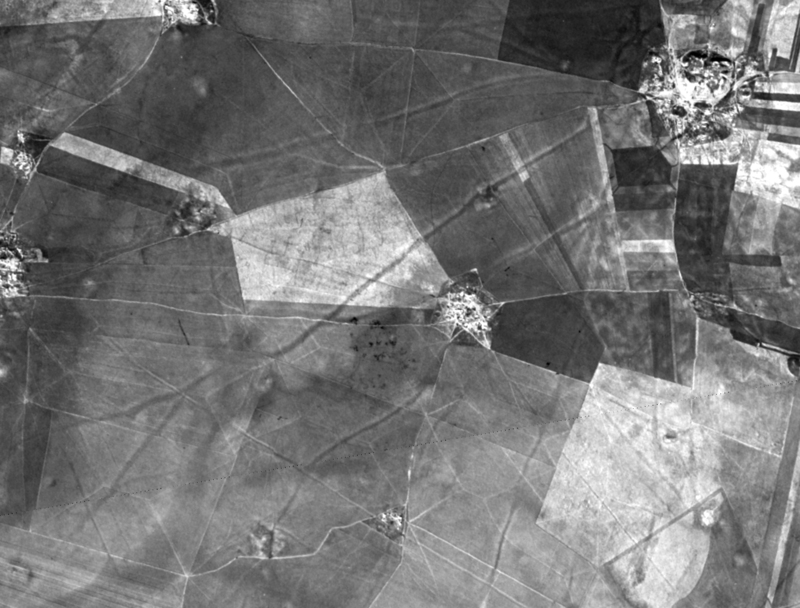 Its shows forgotten ancient Earth roadways that become easily visible with the use of satellite imagery. fabric of emerging civilizations in the ancient Near East." Do you see any similiarity? 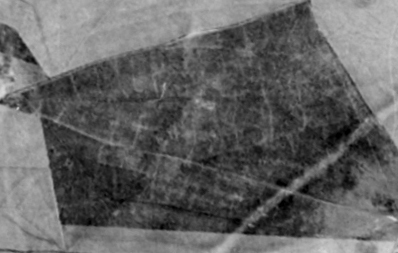 The Mars image below is in Photoshop filter PhotoCopy. 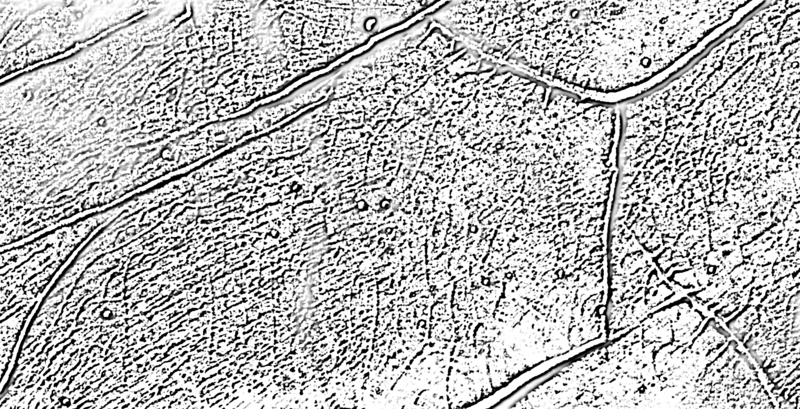 This image is filter bas relief.